Upon arrival at Miami International Airport, you will be received by one of our representative who greets you and escorts you to the pre-booked hotel. Ranked as nation’s no. 1 Healthiest city by the Natural Health Magazine Miami is America’s cosmopolitan world-class Alpha city and one of the most sought after tourist destination. It is blessed with rich and varied art scene, great festivals and sporting events, amazing attractions and best beaches in the world. Upon arrival, check into the pre-booked hotel and enjoy rest of the day at leisure activities and exploring nearby sights. In morning after breakfast you have four days and two tours to enjoy at leisure that gives you a golden opportunity to enjoy your holiday package to Miami to the fullest. After morning breakfast get a pickup for an exciting airboat adventure and nature tour towards Florida Everglades. Spreading across 1.5 million acres this wetland is preserved on the southern tip of Florida. A trip to Miami is not complete without a visit to Everglades where nature is at its best. This is a 30 -minute guided excursion through Everglades while listening to the fun facts and learning about the ecosystem. Here you will come across the most exciting and unspoiled wilderness by watching the variety of wildlife in the surroundings. You can spend few hours in exploring the Everglades Alligator Farm, walk along a jungle trail to see alligators, crocodiles, snakes and other wildlife etc. You can even visit the restaurants or a gift shop as well. The tour ends with a hotel drop-off for dinner and overnight stay. After breakfast get ready for another exciting tour towards Key West and get ready to see some of the most spectacular scenery in the state. To get there, you will be driving over the ocean and cross a thin chain of islands and bridges. Once at Key West, you will be surely left spell bound by its variety of museums and landmarks, warm weather and Caribbean waters. Visit the Hemingway Home, take a trolley or train tour or indulge in kayaking eco-adventure or a dolphin watching cruise etc. Don’t miss a visit to Mallory Square which is located by the historic waterfront where many people gather for a spontaneous daily celebration. Drive back to the hotel for dinner and overnight stay. Post breakfast proceed for the sightseeing tour of Miami and visit some of the best places of the city which include Art Deco District, South Beach, Ocean Drive, Bayside Market place, Bayfront Park and Little Havana, the Cuban district of Miami. Return back to the hotel for dinner and overnight stay. After breakfast proceed to visit some of the best beaches of Miami for which it is renowned. Visit the Hobie Beach, Fort Lauderdale, Virginia Key Beach, Oleta River State Recreation Area etc to enjoy fun-filled beach site activities. Return back to the hotel for dinner and overnight stay. On the last day of your exciting and thrilling Miami Tour Package post breakfast check-out from the hotel for the return journey. Miami, the most southerly city in the continental United States is one of the country’s popular vacation spot which has something for its each visitor. Mild weather, oceanic setting, stunning beaches, endless shopping opportunities, extensive accommodation facilities, art festivals, dining extravaganza etc. All these things makes it one of the major tourist attractions that allure visitors from all corners of the world. So hurry, pack your bags now and book Maimi Tour Package with us. BookOtrip needs no introduction. It is a part of the leading global travel technology company Trip Brands LLC and has served millions of travellers across the world. We are one of the largest travel consolidators in the world and offer best deals on air tickets, hotel bookings, car rentals, cruise packages, travel insurance etc. Definitely there are lots of things to explore in miami. 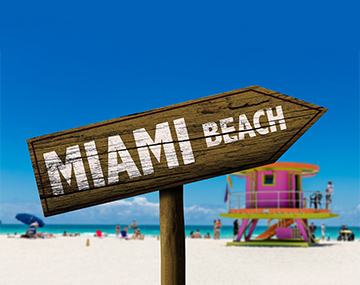 Don't miss your miami beach vacation, book it right now with BookoTrip. They can make your trip the most memorable one than anyone else.